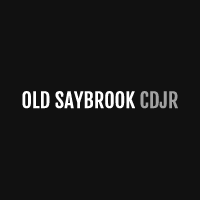 If you’re searching for certified pre-owned car dealerships near Middletown, then take advantage of the extensive inventory available at Old Saybrook Chrysler Dodge Jeep RAM. We want you to drive home in a car you feel good about, which is why we thoroughly inspect each and every vehicle for quality. And because we want you to get a great car deal, we offer plenty of pre-owned vehicle exclusive offers to further sweeten the deal. Our team will walk you through every step of the used car-buying process – we’ll even be there for you after you leave the lot! Rely on our service department to maintain your used car, and feel free to contact us in the meantime with any questions about our inventory. Excellent Condition, GREAT MILES 12,429! REDUCED FROM $25,500!, EPA 27 MPG Hwy/20 MPG City! Navigation, Sunroof, Heated Leather Seats, Dual Zone A/C, Remote Engine Start, Back-Up Camera, Onboard Communications System, iPod/MP3 Input KEY FEATURES INCLUDE Leather Seats, 4x4, Back-Up Camera, iPod/MP3 Input, Onboard Communications System, Remote Engine Start, Dual Zone A/C, WiFi Hotspot, Smart Device Integration, Heated Leather Seats. Rear Spoiler, MP3 Player, Keyless Entry, Privacy Glass, Steering Wheel Controls. OPTION PACKAGES LUXURY GROUP Ventilated Front Seats, Exterior Mirrors w/Memory, Power Liftgate, Radio/Driver Seat/Exterior Mirrors Memory, POWER FRONT/FIXED REAR FULL SUNROOF, ENGINE: 3.2L V6 24V VVT W/ESS Pentastar, Stop-Start Multiple VSM System, 700 Amp Maintenance Free Battery, Dual Bright Exhaust Tips, RADIO: UCONNECT 3C NAV W/8.4 DISPLAY SiriusXM Travel Link, (Registration Required), GPS Navigation, HD Radio, SiriusXM Traffic, 9 AMPLIFIED SPEAKERS W/SUBWOOFER, TRANSMISSION: 9-SPEED 948TE AUTOMATIC 1 speed PTU. Jeep High Altitude with Deep Cherry Red Crystal Pearlcoat exterior and Black interior features a V6 Cylinder Engine with 184 HP at 6400 RPM*. EXPERTS CONCLUDE Edmunds.com explains The Cherokee also features one of the better backseats in the compact crossover class. Not only does it recline, but it also provides for fore-and-aft adjustment, and the high-mounted bench supports adults' thighs without pushing their heads into the rafters.. Great Gas Mileage: 27 MPG Hwy. EXCELLENT VALUE AutoCheck One Owner Was $25,500. Approx. Original Base Sticker Price: $31,500*. BUY FROM AN AWARD WINNING DEALER All preowned vehicles are covered by the Lorensen Advantage Pricing analysis performed on 4/19/2019. Horsepower calculations based on trim engine configuration. Fuel economy calculations based on original manufacturer data for trim engine configuration. Please confirm the accuracy of the included equipment by calling us prior to purchase.